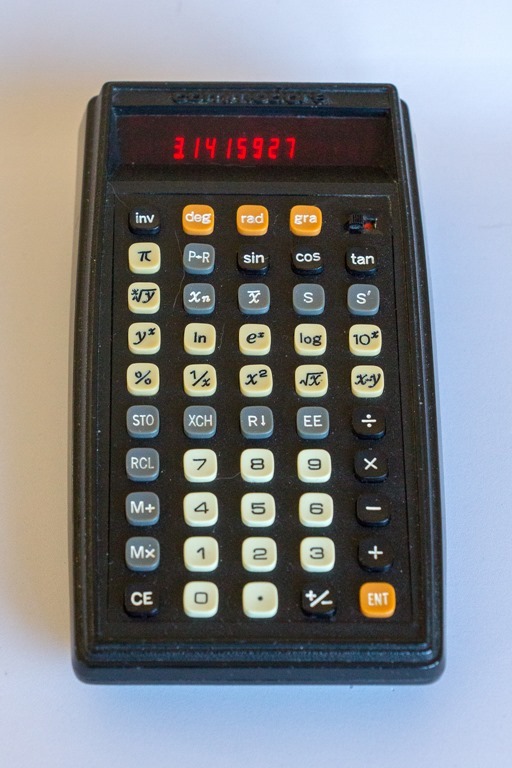 I think the reason that this one was so rare – I’d tried for some six/seven years to find one, even with a saved auto-applied eBay search – was that it is an RPN (Reverse Polish Notation) calculator, and made in England to boot. No equals sign to be seen. 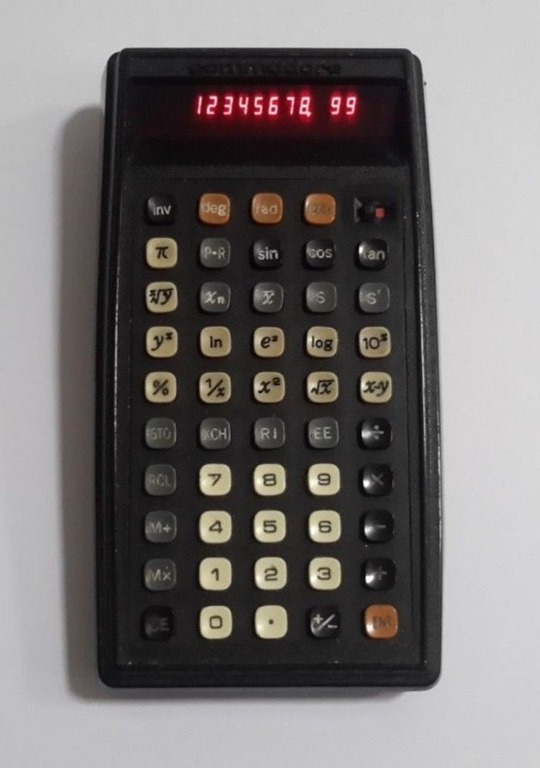 I would guess that it was deliberately marketed against the various HP RPN calculators that were out there at the time. 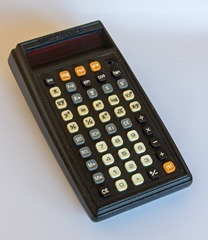 But … being RPN meant that it would, in essence, only appeal to the scientist or mathematician. The average person, if they wanted to buy a still-expensive tool like a calculator, would go for a simpler algebraic model. So a month or so ago, I was bored and decided to browse using my saved search. Nothing, but eBay showed some items from a similar search term. And, knock me down with a feather, there was an SR4921 for sale, where the seller had made a typo and called it an SR4912 (another valid Commodore model number). Holy crap. Trembling, I summoned up my favorite eBay bidding site and entered an amount for way more than I should’ve. After a couple of days, and ten seconds before the auction ended, the site bid for me and I won. 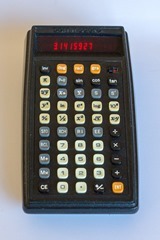 When I got the calculator, it was in a very dirty, well-used state, so I set about cleaning it. Luckily in doing so the symbols on the keys did not get wiped off, and overall I’m pleased with how it came out. 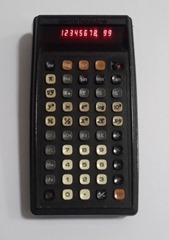 All in all then, a very nice addition – nay, completion – to my Commodore calculator collection.